The LyondellBasell Cambridge MBA Scholarship offers up to £33,000 to one candidate per intake. The scholarship is open to anyone with a process engineering background, including candidates who have worked in pharma and oil and gas. The strong focus on practical project work in our MBA programme allows candidates to gain first-hand experience of many roles and sectors during the 12 month programme – a valuable opportunity for those seeking a career switch. Practical projects also bring MBAs into contact with our global network of business and non-profit supporters around the world – useful for sourcing new career opportunities. The chance to tailor your MBA learning through our ‘concentrations’ allows candidates to hone skills and contacts in particular sectors. Our smaller class size allows for greater collaboration with classmates and also a more personalised teaching and careers support experience. 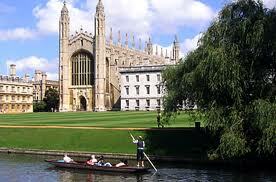 As a Cambridge MBA graduate, you will also join the esteemed network of Cambridge University alumni around the world. Candidates need to have accepted an offer of admission from the Cambridge MBA programme, have a high GMAT score, and have attended a top university. The deadline for interested applicants to submit their applications is 16 May 2012 for the class beginning in September 2012. Demikianlah informasi mengenai LyondellBasell Cambridge MBA Scholarship, University of Cambridge, UK semoga berguna bagi anda.